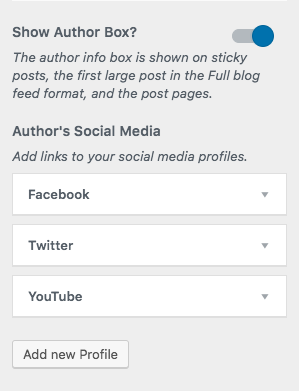 You can use the Author Box in order to present the author of a post to the audience. To enable that setting, go to Appearance > Customize > General Settings and toggle on the Show Author Box? option.